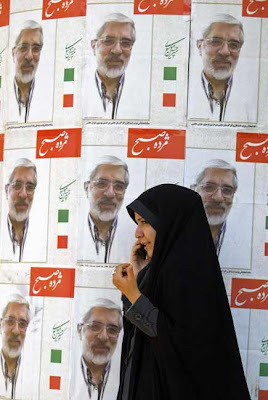 As the disputed Iranian election begins to recede to the back pages it's still hard to judge the long term fallout. 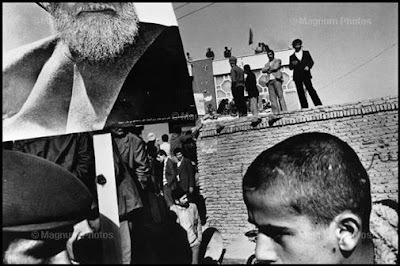 One aspect of the protests that separates it from past Iranian uprisings is the citizen technology used to cover events. 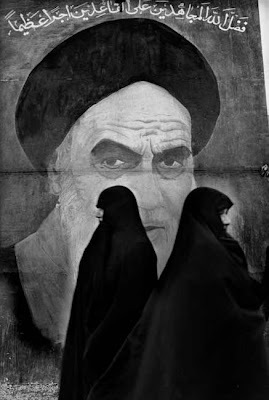 Cellphone cameras, email, and blogs in Iran have been used to circulate information outside official channels. But the breakthrough technology seems to be Twitter. In what may be the first constructive application of Tweets, Iranian protesters have used Twitter to communicate between each other and with the outside world. It's instant. It's underground. It's decentralized. For authorities trying to control information, it's a nightmare. 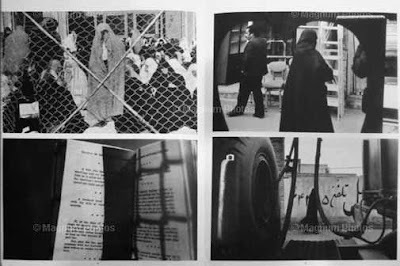 Peress' telexes were eventually published with his photos in Telex Iran. This landmark book contains a slew of impossible shots, one after the other. A master of angles and shadows, Peress is one of those rare shooters who somehow intuits exactly how to divide the frame but also knows when not to. 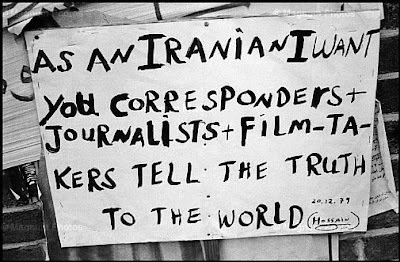 Telex Iran depicts a nation in crisis but it goes well beyond that. 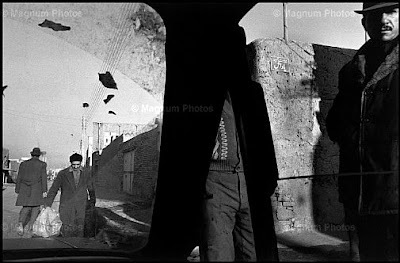 Many of the photos are of everyday life: Taxi cabs, markets, street crossings, etc. The end result lands somewhere between Klein, Nachtwey, and Twitter. Unfortunately the last printing was more than a decade ago and now Telex Iran has been allowed once again to become a precious collector's item. Maybe recent events will spur a reprinting? Doubt it. Anyway, if you have a copy now might be the time to pull it from the shelf and re-familiarize yourself. 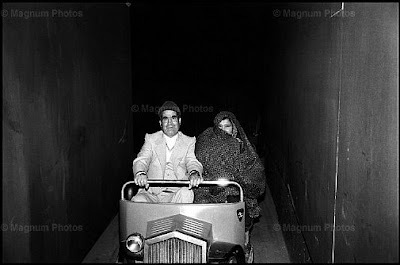 If you don't have the book, web versions of all the photos can be found on Magnum's site.